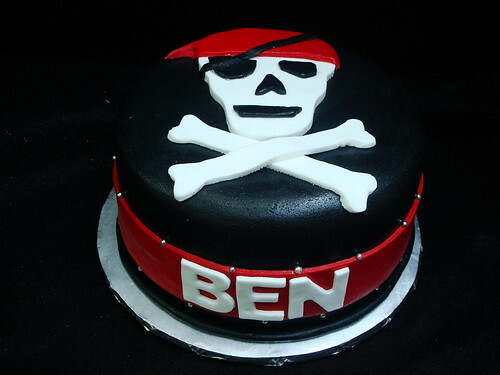 Scull and Crossbones Cake, originally uploaded by Austin Cake Studio Holley. HELLO Austin Cake Studio Blog readers. Welcome to my little cake blog. This is where I post the my most recent cake designs with a side of wedding inspiration along the way. Enjoy your stay here as you peruse through the images. Feel free to leave comments if you see something you love! Austin Cake Studio was created as a unique place that Holley and her clients work together to create one-of-a-kind pieces of delicious and unforgettable works of art. The process is deliberately collaborative. Holley works with each client to brainstorm, create design ideas and customize unique flavors. The result is a unique creation specially tailored to the client's taste buds and party aesthetic. Holley is dedicated to providing quality custom designed wedding and special events cakes that are entirely unique to Austin.